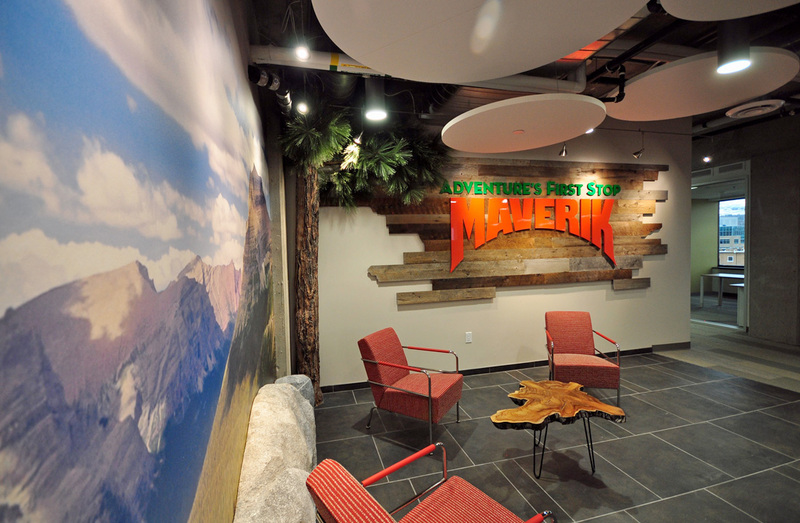 Hailed as “adventure’s first stop” and driven by the credo of “live legendary, never ordinary,” Maverik convenience stores embody the pioneering spirit of the west in both culture and function. Providing fuel and premium food and beverage options for travelers in more than 270 locations throughout the western states, Maverik stands as the largest independent fuel marketer in the Intermountain West. Positioned far above the ordinary gas station or convenient road stop, Maverik has established a brand identity and loyal following throughout the region by consistently offering its customers the highest quality products and services while catering to a lifestyle for those who love the freedom of the open road. 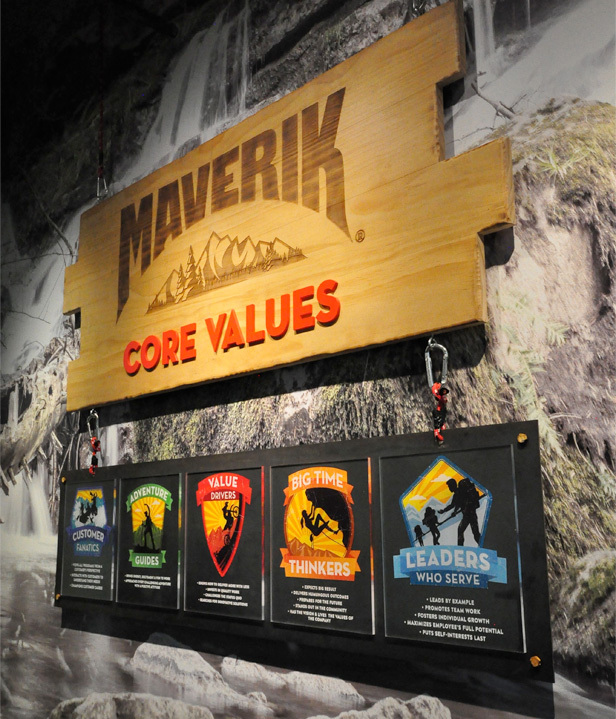 With this spirit in mind, Maverik reached out to 2020 Exhibits to create a corporate headquarters that embodied the company’s core values of adventure, customer service, value, thought, and leadership. 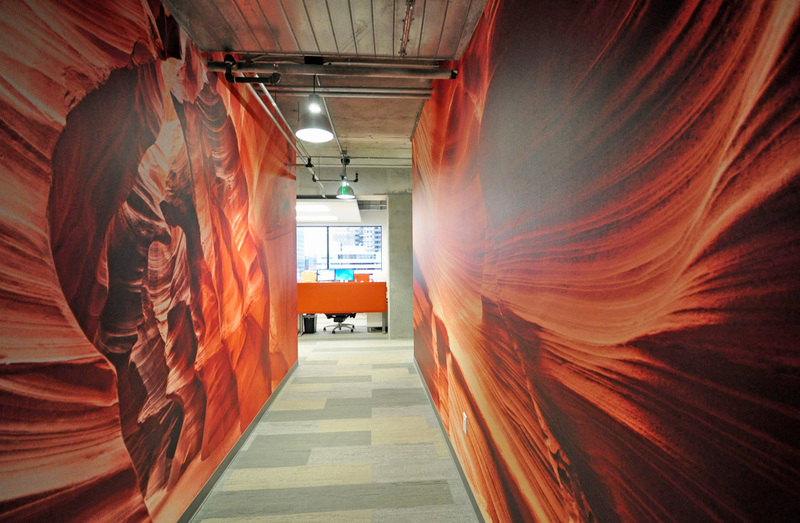 The challenge was to take a relatively bare four-story space in Salt Lake City and transform it into a command center that personified the Maverik brand. With time constraints and an ongoing office installation team running parallel to the project, the 2020 Exhibits design team went to work. Being able to combine the technology of 3D design and digital printing with expert wood and metal craftsmanship was the key that unlocked the perfect execution to a complex challenge. The project fabrication and installation truly highlighted 2020 Exhibits unique range of capabilities. 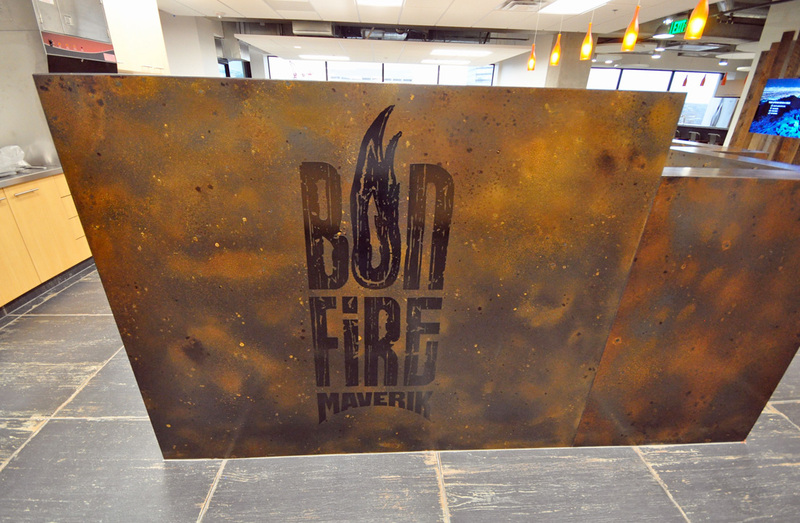 Combining expertise in design, large format printing, project management, and fabrication was critical to making the Base Camp environment a success. 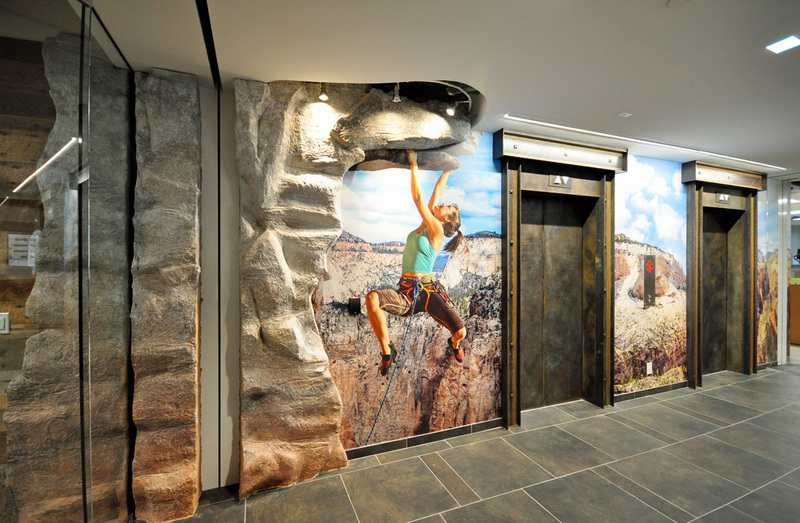 Adorned by 3D elements celebrating the outdoor enthusiast, custom printed wallpaper featuring western landscapes surround the space and bring the design to life. 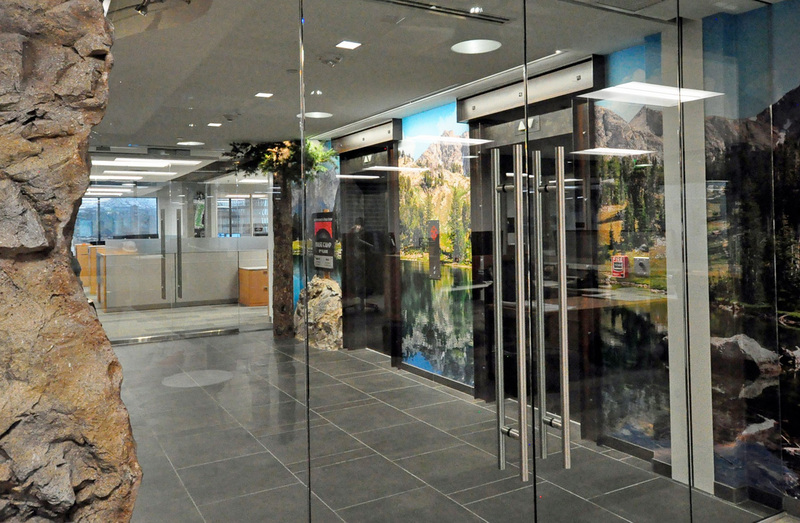 From the moment the elevator doors open into the space, the scenic beauty of deserts, forests, mountains, lakes, and rivers take visitors out of the ordinary office setting and into a refreshing open air feel that captures the imagination on wall graphics spanning as much as 200 square feet. Accents such as fishing rods, bicycles, snowboards, and kayaks compliment the warm scenic imagery. Action shots of mountain biking, rock climbing, alpine skiing, and white-water rafting deliver action and movement to the environment.